Wednesday night was a beautiful night for trick or treating, the weather was warm, and the sky was clear. 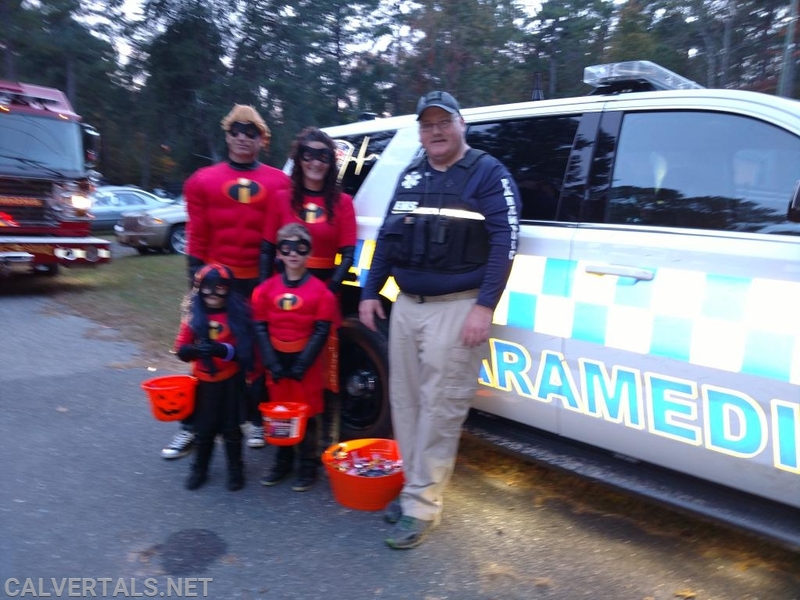 As usual the Medic Unit was out in the community giving candy to trick or treater's and standing by for any emergencies. The night was calm with the average medical calls being handled by M102 (PMIC Larkin, Bonner) but once the kids were off the streets the calls started to come in. 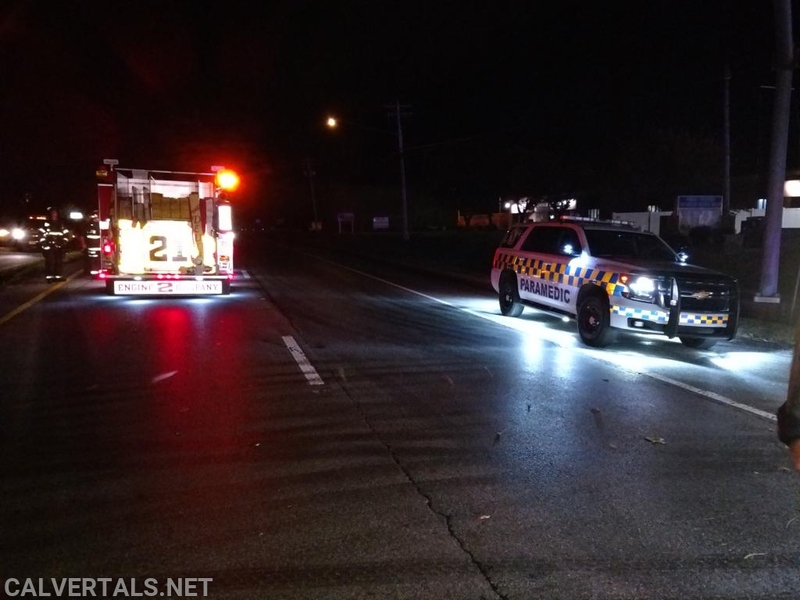 The first call was a head on collision in front of Co.4 with a subject out of the vehicle running around acting "strangely" in the roadway. Chief 10 was in the area and responded on the call and M102 cleared their call in Solomons and started towards the accident. Chief10 arrived on scene and was assigned by command to assess the one patient that was out running around in the roadway and now in custody. The patient was assessed and AMS was confirmed, the patient was packaged for transport to a local trauma center. M102 was cleared from the call once command had assessed all the other patients and found them to be priority 3. Not long after clearing M102 was placed on a medical down in the Lusby area. While M102 was responding down south Calvert Control dispatched a subject that had fallen out of a moving vehicle with CPR in progress now. M105 (PMIC McCloskey) happened to be at CALS picking up a truck for his shift in the morning and heard the call go out and promptly responded to the scene. M105 worked with crews from Dunkirk and MSP as the critical patient was packaged and loaded into Trooper 2 for the flight to Baltimore. Chief 10 in Lusby with trick or treater's. 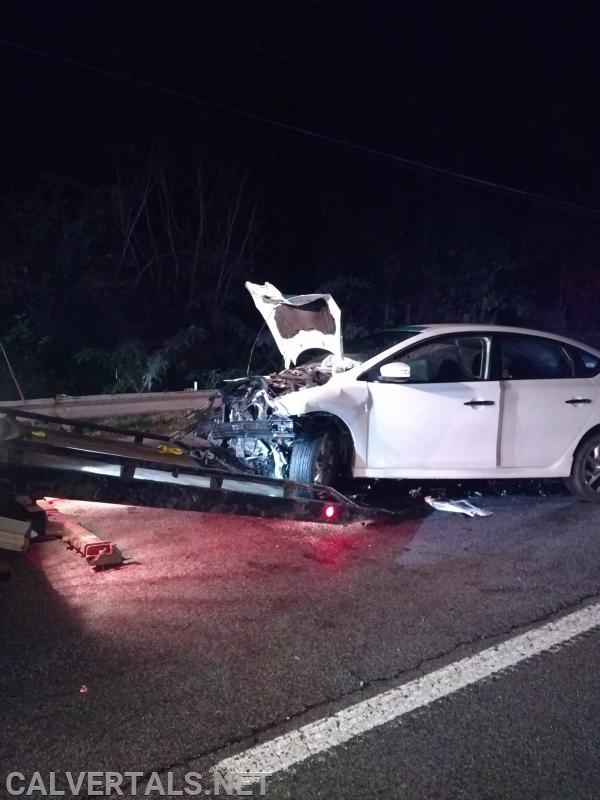 One of the two vehicle involved in the head on collision.